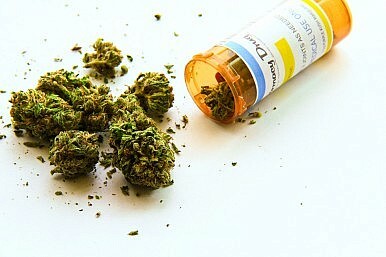 Medical Marijuana Coming to the Philippines? Also: Singapore’s SMRT receives high marks, five of seven missing Japanese divers rescued in Bali. The Philippines’ Health Secretary, Enrique Ona, told reporters yesterday that the Department of Health is neither for nor against medical marijuana, but said that more studies are necessary before the controversial treatment is approved. Ona said that “medical use” must be strictly defined and that there would be no reason to legalize medical cannabis “if there are other alternatives.” He added that allowing marijuana for medicinal purposes could potentially lead to abuse, emphasizing the need for further research. “Medical cannabis has reportedly shown potential benefits in relieving nausea due to chemotherapy, some symptoms of AIDS and chronic pain, among others,” wrote The Inquirer. Over in Singapore, public transportation operator SMRT was ranked among the best in the world “in terms of international benchmarking standards,” reported Channel NewsAsia. “SMRT ranked 10 out of 29 in terms of incidents causing more-than-five-minute delays per million car kilometers travelled,” said the study, which was conducted by CoMET Nova Benchmarking Group. The metro operators surveyed included firms in Asia, Europe and the U.S. The city-state operator announced plans to perform a mid-life upgrade to its current fleet of Siemens trains, as well as a new sensor system that will collect data on track and train systems in order to better serve commuters. On the Indonesian resort island of Bali, search and rescue teams have found five of the seven Japanese divers that went missing off the coast of Nusa Lembogan on Friday. Though authorities would not comment on their condition, photos showed them alive and conscious despite exhibiting signs of serious sunburn. The five survivors were flown to a hospital in the Balinese capital of Denpasar. No new information has been made available about the two divers who remain missing. The five tourists and two instructors – all Japanese women – were expert divers with more than 50 dives each. The skipper of the boat that was supposed to return the women to shore after their dive told reporters that a sudden downpour clouded the water and disrupted his visibility. The dive location, Nusa Lembogan’s “Blue Point” is recommended only for experienced divers due to strong currents. The women were found 20 kilometers from where they had started their dive. UPDATE: The two remaining divers have been found alive. The Wall Street Journal reports that rescue teams are in the process of recovering them from a cliff. UPDATE 2: The WSJ has corrected an earlier story, stating an error in reporting from authorities. The two people sighted on a cliff were in fact rescue workers who had been left there overnight. One of the remaining divers was found dead, but the seventh is still missing. The decision to scrap a PPP for Changi Airport Terminal 5 reveals the difficulties of making this model work. 15,000 Donated Boats to Replace Those Lost in Philippine Super TyphoonPhilippine Archbishop: Pope Francis “Might” Visit Typhoon-Damaged AreasNewly Crowned Miss International Pledges to Support Typhoon VictimsSihanoukville: A Cambodian City Losing Its ‘Cambodian-ness’Is Vietnam Creeping Into a Succession Crisis?